This is kind of cool. Charles Ardai, the intrepid editor of Hard Case Crime, recently--last week--won an Edgar Allan Poe Award in the Best Short Story category for "The Home Front." It's not only cool that he won, but it is even cooler that he posted the story on the Internet for all to read for free. Congratulations Mr. Ardai. "The Home Front" is a cool, atmospheric World War Two-era story featuring a rag-tag group of grifters, investigators, and mugs hired by the government to go after black market profiteers and put them out of business. It's a good read, and you can't go wrong with free! Go Here to read Charles Ardai's "The Home Front." My latest review over at SFReader is live and online. This round I take a look at Matthew Warner’s third, and latest novel, Eyes Everywhere. Eyes Everywhere is a terrifically subtle horror novel that has more than a touch of reality. It is the story of Charlie Fields—father, husband, provider—and his fall from sanity and loss of identity. In the beginning he is stalked by fear: fear of losing his job, his wife, his family. Then it escalates slowly and frighteningly as Charlie retreates into a world all his own. Eyes Everywhere is frightening because it could happen to any of us. And it happens every day. Check out the review Here. First lines. We have all picked an unknown novel off the shelves of a favorite bookstore, thumbed to the beginning and read the first line only to be dragged into the story with a compelling, frightening, or witty opening. Here are a few—three to be exact—opening lines that reached out and grabbed me. They act as the hook, and the author spends the rest of the novel reeling you in. Richard Wheeler is known for compelling first lines, and his novel, An Obituary for Major Reno, opens with a zinger—it not only makes me want to read further, but it gets me curious just who Reno is, and why he is such an unlikable sonuvabitch. How can you stop reading Mr. Monk and the Blue Flu, with an opener like this? I dare you, try. And just why won’t Monk go near it? Gets you curious, doesn’t it. Jack Higgins—his older work at any rate—is one of my favorite writers. And this first line from The Last Place God Made is an example why. His work is dramatic, fun, and takes you places you have never before been. And damn if his opening lines don’t make you curious of what is happening, and why. If any of you have read first lines you think are particularly defining, or sensational, or just damn good send them to me: My Email. Kingdom Hospital was a disappointment--the series was overly long, and the episodes had too many commercials--I watched the first episode on DVD and it ran a scant 38-minutes--and overall it was just too damn boring to watch. Which is too bad, because I enjoy much of Stephen King's writing, including many of his self-scripted television movies and miniseries. However, I thought Kingdom Hospital's opening theme was awesome. So here it is--just don't go crazy and and buy the DVD on a whim. The local library system has a semiannual sale—the third weekends of April and October—every year, and it is generally absolutely fabulous. The selection is top notch, to guess, there is probably somewhere around 15,000 titles in any genre—both fiction and non-fiction—to choose from. They range from paperback to hardback to old library editions to mint condition copies. I always find a few treasures; often they are books I have been searching out, but more often they are little gems I know nothing about and get to explore without preconception and discover another great book and great writer. This past weekend was the spring sale, and I did pretty damn well. My girl, her parents, and I made the pilgrimage to the city library and elbowed, cajoled and pushed our way into the always too narrow, too crowded aisles of books. The crowd is always a healthy one, and this year was no exception. One old woman banged through the aisles like a faltering old sow—mumbling and even yelling at anyone a little slow to remove themselves from her path. Then there was the wild haired man—the guy who is at every book sale I have ever been—who is transfixed and lost in some volume of history or physics or archaeology and chose to stand in the very spot I want to be. And I’m too damn polite to say excuse me and push my way into the section. Damn. There was probably the best, most elusive book I have ever wanted in that little spot. 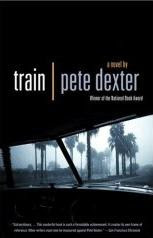 A few of the titles I am most excited about—until I really dig into my new books and find the unknown treasures—are: Train by Pete Dexter. I have never read any of Dexter’s work, but I have heard nothing but praise. Wilderness by Robert B. Parker; Wilderness is one of the few early Parker novels not featuring Spenser. The Leader and the Damned by Colin Forbes; Forbes is a British writer I enjoyed as a teenager, and this is a title I had not only never before seen, I had never heard of. I hope it’s good. I also found an autographed copy of an old paperback version of Tony Hillerman’s Dance Hall of the Dead. Yes, it really is autographed! I found several old Gold Medal editions of John D. MacDonald—Ballroom of the Skies, Dress Her in Indigo, and The Long Lavender Look. And as I was leaving, I quite literally stumbled over a Subterranean Press autographed edition of Peter Crowther’s collection of short stories, Songs of Leaving. Not bad. I’ll let you know about the unknown treasures as I discover them. How many weeks until October? This is the week of the western here at Gravetapping—first The Fire Arrow and now the new paperback original from Max McCoy: Hellfire Canyon. But first I have a gripe: Each time I wander into a bookstore I’m mystified and annoyed by the shrinking westerns section; at my local bookstore it is down to one paltry shelf. And probably about two-thirds of the selection is either Louis L’Amour or the genuinely terrible William W. Johnstone. The unfortunate part of this, other than the obvious long goodbye of the genre, is most westerns written today are terrific. They are better than much, if not most, of the westerns written when the genre was thriving. 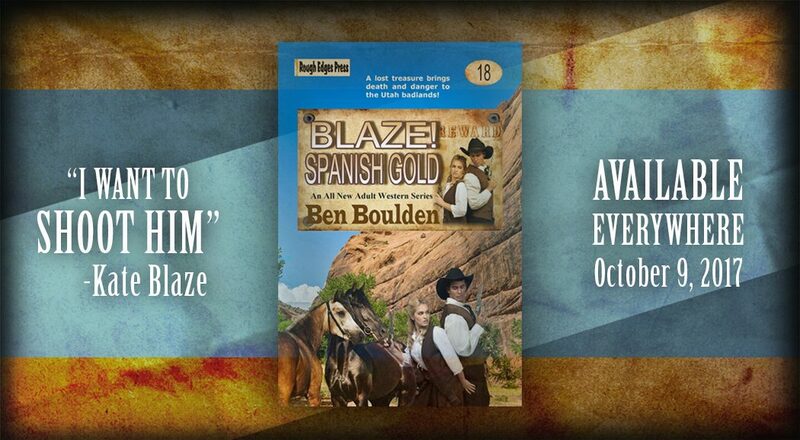 In a sense it is a golden age: the published westerns are better than they have ever been, and should appeal to a wider audience; unfortunately no one reads them, and none of the publishing houses market them. Why? Why? 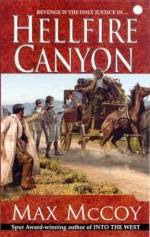 A good example of a great modern western is Max McCoy’s Hellfire Canyon. 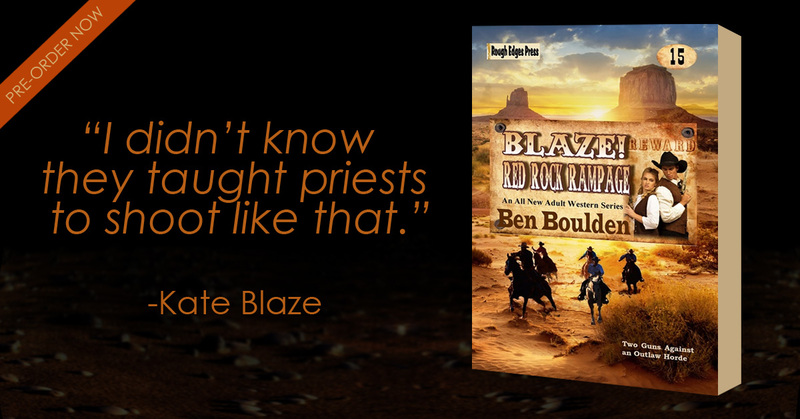 Hellfire Canyon is the story of Jacob Gamble: outlaw, renegade and general hell-raiser. He is the archetypal western outlaw, with one exception: He is likable, and rather than the antagonist, he is the hero. The novel begins when three men trample into young Jacob’s farmhouse and demand breakfast from his mother. They are confederate soldiers with a platoon of blue bellies hot on their trail. This is the catalyst that shapes Jacob’s life—the Union soldiers burn down his home, and he discovers his father is in lockup scheduled to be hanged. Jacob and his mother set out to save his father, but instead find themselves crossing Missouri in the company of a stranger, facing cutthroats, soldiers, the coming winter, and finally forced induction into the gang of the notorious killer Alf Bolin. Hellfire Canyon is not the typical. There is violence and even gun play, but there is more—a yearning and understanding of history, legend, and even folklore. 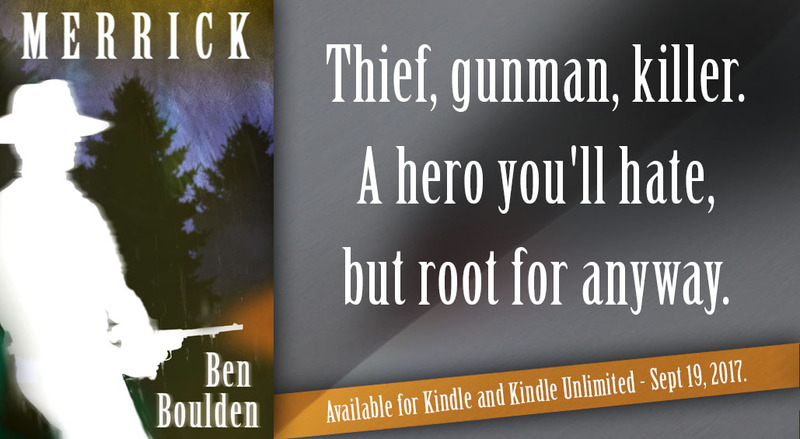 Gamble is an admitted liar, killer and thief, but he—the story is written in first person—portrays himself never as a victim, but as a survivor. Interestingly, in the opening pages of the novel he casts doubt on everything that is to come: And I won’t tell the truth. Instead, I will spin the tale that is expected—that I was forced by circumstances at the tender age of thirteen to become the youngest member of the Bolin gang. Hellfire Canyon is a campfire story. It is raw, tender, and fresh, but we are left knowing it isn’t the real story. It is the story the witness—Jacob Gamble—wants us to know, or perhaps more accurately thinks we want to know. It is more folklore and legend than anything else, and I loved every word. Richard Wheeler is one of my favorite writer’s of western historical fiction, and his latest Barnaby Skye novel, The Fire Arrow is just out in paperback. This is the first title in the Skye series I have read--there are fourteen books in the series, with the fifteenth scheduled to be published in May. The Fire Arrow is a meandering novel. It begins in early autumn—Skye is on a buffalo hunt with his wife and a small group of Crow, when they are raided by band of Blackfeet who take their horses and give Skye’s wife, Victoria, a near fatal wound. This event sets the novel in motion. Skye battles the environment, more than one unscrupulous Indian trader, and his own desire for fire water, to save Victoria, his outfit, his honor, and his place among the Crow. The Fire Arrow is an uneven novel. The prose is simple and powerful. Wheeler weaves words into the tapestry of this novel like an expert. His descriptions of wide-open country, and the lonely existence of frontier life are especially poignant and powerful. A few weaknesses of the novel are the roundabout patterns of the plot—Skye makes the same mistake twice, and each time the novel is set in a new direction. The opening question is never fully answered, and the ending is somewhat unsatisfying. Blemishes and all, The Fire Arrow was an enjoyable read. It is a western that captures frontier life much like it probably was. Barnaby Skye is a contemptuous, complicated and somehow endearing protagonist who is at his best—as a character—in the wild country with nothing but his wife, and a few ponies. Richard Wheeler is one of the modern masters of the western story, and while The Fire Arrow isn’t his best work, it is pretty damn good. The only problem is, now I need to find a few of the previous Skye novels. Oy! Series characters. I both love and hate them in equal portions. I'm a fan of the wonderful work of Kurt Vonnegut. He could write the damndest, funniest, most compelling and illuminating fiction I have ever read. He was a passionate atheist--"I like sleep, don't you?" And his work condemned the acts of humanity without condemning humanity itself. He showed us the silliness of organized religion, the stupidity of the military complex, the graft that is often capitalism, but most importantly he taught us that we could witness the most hideous, brutal and ugliness of our own humanity and find something to laugh about. I don't recall the words, but I once read Vonnegut believed humor was a biologically instilled mechanism of survival. And damn if I don't think he was right. This is one of those programs that just won't go away--I watched it as kid, and to say it has great memories for me is an understatement. I love the opening credits, and here they are from the good people over at YouTube. I have been critical of HCC and a few of its reprints--I want new stuff. A few of the reprinted titles just don't have the zing of the original titles. Think The Confession, Kiss Her Goodbye, and Dutch Uncle. Those were hardass, cool as hell titles that not only entertained, but made me feel something. A few of the older titles--say Donald Hamilton's Night Walker--felt dated and limp. Where is all this going? Well, HCC just announced they are going to reprint an old Lawrence Block title. Oy! But really I don't mind this reprint at all. In fact, I'm nothing but happy HCC is releasing A Diet of Treacle. The other Block titles released by HCC have been nothing but great. 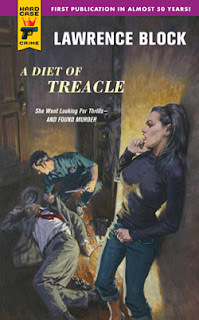 And if the cover art is anything to judge it by, A Diet of Treacle will be awesome. But if Charles Ardai, or anyone else with a little pull over at Hard Case Crime is reading this--publish more original titles! We deserve them. A Diet of Treacle will be released January, 2008. A long wait, but very likely worth it. In David Morrell's latest novel, Scavenger, he makes reference to a vault on a Norwegian island that contains some two million seeds--it holds all of the edible plant varieties around the world. He compares it with a time capsule, which is a major subject in Scavenger. I thought the idea sounded cool, and so I looked it up to see if it is real. Within a large concrete room, hewn out of a mountain on a freezing-cold island just 1000 kilometres from the North Pole, could lie the future of humanity. The room is a "doomsday vault" designed to hold around 2 million seeds, representing all known varieties of the world's crops. It is being built to safeguard the world's food supply against nuclear war, climate change, terrorism, rising sea levels, earthquakes and the ensuing collapse of electricity supplies. "If the worst came to the worst, this would allow the world to reconstruct agriculture on this planet," says Cary Fowler, director of the Global Crop Diversity Trust, an independent international organisation promoting the project. To read the entire article at New Scientist go Here. This is a favorite--and it is posted for one of my more loyal readers. I've never been accused of being on the edge of things, and my discovery of You Tube is no different. Well, today, finally, I logged on and checked it out. Cool. I've posted a couple, well, three videos right here on my blog. Lo Fidelity Allstars -- "Battleflag"
Johnny Cash -- "God's Gonna Cut You Down"
Greg Brown -- "Better Days"
I keep track of what I read, and I have since I was a teenager. When I finish a book—fiction or non-fiction—I write the title, author and the page count in a notebook. Last year, 2006, I read 52 books, 13,788 pages; the previous year 77 books, 21,578 pages; and two years ago 75 books, 21,790 pages. These annual lists are a timeline of my life. A sort of journal that records, to me only, what I was doing, where I was, if I was happy, sad, angry or anything else. When I look through the lists I can remember reading the book—where I read it, what was happening in my life, and often even what the weather was doing. In June 2004 I read the novel Solar Eclipse by John Farris. The book was terrific, but I was in a funk—my forward progression was stalled and I was depressed about it. I read most of this novel in transit on the city light rail. It was early summer, but it was already hot—the temps were in the nineties and all I wanted to do was read. And Solar Eclipse was the answer. It was pure escape. It took me into a world that allowed me to forget my problems several minutes at a time. Solar Eclipse kept me sane until I could gather the strength to make the right decisions and get on with it. In December 2003 I read the novel V by A.C. Crispin—it was the companion novel to the early-Eighties miniseries. My girlfriend and I had just purchased a small place and we were genuinely happy. I can vividly remember sitting in bed, my back against the wall reading, the cold December air creeping through the thin walls and even thinner windows. The book wasn’t great, but the memory of reading it certainly is. In April 2002 I only read one novel—very unusual for me, but I had just started a new job and it was taking my energy and then some. The novel I read was Dean Koontz’s The Voice of Night. My reading of the book stretched over weeks, but I was enamored by it. Every afternoon when I got home from work I would crack the book open and read a chapter—then take a brief nap before my girl came home for the evening. My list of books reads like a time capsule. They, the books, are part of me: a measuring stick of who I am and where I have been. They are something I never want to forget, and my notebook of lists is where I store them.